If you though excavating a basement was hard work, try doing it with R/C miniature construction machinery. One Canadian man has been doing it for 14 years and he’s still not done. Luckily, he’s in no hurry to finish. Joe Murray, a farmer and radio-controlled construction machinery enthusiast from Saskatchewan, Canada, started excavating a basement under his house in June of 2005. In the beginning, he had a hands-on approach, using a pickaxe and an air chisel hammer, but then he started acquiring miniature radio-controlled digging machinery and he took a back seat, letting them do all the dirty work. By 2010, his fleet of trucks and excavators were already doing all the work, while he controlled them from a distance. But the problem with using miniature machinery to dig a life-size basement is that it takes a long time. And I mean a really long time. We first wrote about Joe Murray and his awesome project back in 2012, but back then it was reported that he was getting close to finishing the basement and planning to start even more ambitious projects, like digging a pond with his radio-controlled machinery. But seven years later, the Saskatchewan farmer is still busy digging under his house. I guess he meant it when he said he wasn’t in a hurry, because he posted a video of his miniature machinery earlier this month, and they were still in that basement. Murray started documenting his progress through YouTube videos in 2007, so if you’d like to see what he’s been up to in the last 12 years, feel free to check out his channel, LilGiantsConstrCo. While using miniature construction machinery to dig a basement may seem counterproductive, it’s worth pointing out that to Joe Murray this is more of a hobby than actual work. He knows there are lots of advanced tools he could use to finish his project faster, but he just doesn’t care for it. 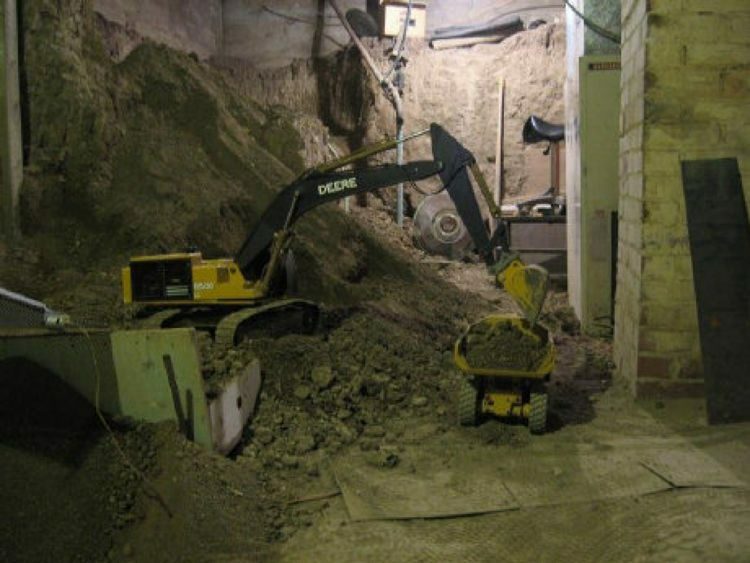 “The common misconception here is that the RC’s (radio-controlled scale models) are not here to excavate my basement, but rather the basement excavation project is here for the RCs,” Murray wrote on his website.